It’s Saturday morning and I’m lacing up barnyard-baptized boots, ready lest my foot is accidentally stomped. A scarf is around my neck, just in case I’m downwind when I do some vigorous brushing. Gloves, I discovered after becoming a volunteer earlier this year, help keep fingernails somewhat less unsightly, and haven’t hindered grooming or interactions. For the sake of a cleaner car, I’m trying to either ride my bike or park farther away from the pasture (Bug off, birds!). Also, I’ve learned the hard way to bring spare shoes and a bag for my boots to accumulate less hard-to-remove “stable stuff” in my car’s carpet. Surroundings. 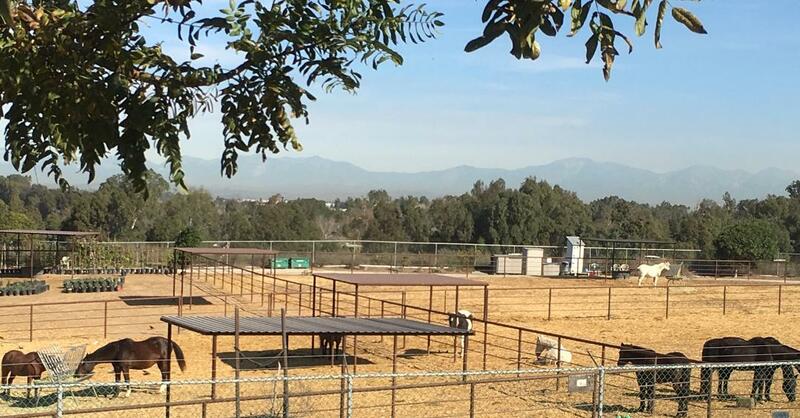 Situated between the stables and the open field of the Urban Forest along the Shipley to Shore Nature Trail are a herd of horses and compassionate compadres who love them, each other and the fresh Pacific Ocean air. Where else would one want to be? Giving back to the community. Uniquely serving the community we love in a manner that matches our gifts and speaks to our souls. What could be better? Free Rein mission. “To heal humans and rescued horses by creating a bond that empowers and nurtures both.” Each week in the pasture, we fill their buckets with food and love. I learn more about the horses and how to best help them. During these enriching encounters, my team members and I leave our own daily worries behind as we brush, sweet talk and feed these gentle animals. Throughout the encounters we are focused on their well-being, sympathetic to their struggles, and mindful of their therapeutic purpose and power. Just like life, this volunteer gig isn’t typically glamorous. Scrubbing water troughs and cleaning up the horses that have rolled in who-knows-what is downright messy and smelly! Yet for this greenhorn, time and energy supporting Free Rein’s mission, its horses and fellow horse lovers makes my heart sing. The extra car cleanings, added laundry and frequently needed manicures are a small price to pay for the satisfaction received. 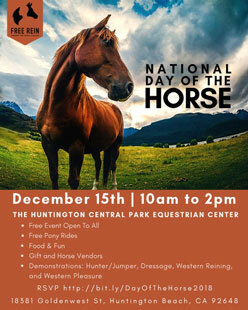 Sheila Holliday is a volunteer of the Free Rein Foundation in Huntington Beach, California. Their Mission: To heal humans and rescued horses by creating a bond that empowers and nurtures both.